Blog Posts, Festivals, Travelblogging, FAQ, Festival, Help, list, Music, TravelLeave a Comment on Festival Gadget Must-haves! Whether you are a festival newbie or an old hand, there are certain gadgets that I think are an absolute must-have! This guide is to make sure you take those nifty little gadgets which will turn you from ‘all the gear and no idea’ into a festival pro! Line-ups are starting to appear, you’re frantically booking time off work and arranging your finances to be able to go to all the festivals you have your eye on this year. Am I right? Check out my Festival Essentials A-Z, so that you’re ready to rock this festival season! Blog Posts, Festivals, Travelblogging, FAQ, Festival, Help, tickets, Travel3 Comments on Top 10 Tips – How to get Tomorrowland & Glastonbury Tickets! Getting a Glastonbury or Tomorrowland ticket seems to get more and more difficult every year! Follow my Top 10 Tips and fingers crossed you will secure a ticket to one of the best parties on the planet! 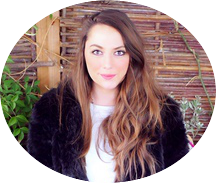 Discover how I started blogging after struggling with overcoming my initial fears about being Dyslexic. Plus, see what tools you can use to give you the confidence boost to start your own blog in 2019! In September I went on a trip that I can safely say I will never forget (and neither will my bank balance). I went to the fabulous Ibiza. “How do you keep your hair looking so fab and fresh?” This is one of the most common questions I get asked. I have put together a survival guide on how I fight the festival filth and keep my hair looking fresh and healthy at a festival. Latitude Festival was one that I had heard such good things about but never actually been to. Voted the UK’s best major festival of 2017, it combines music, film, theatre, dance and much much more to create an atmosphere like no other.